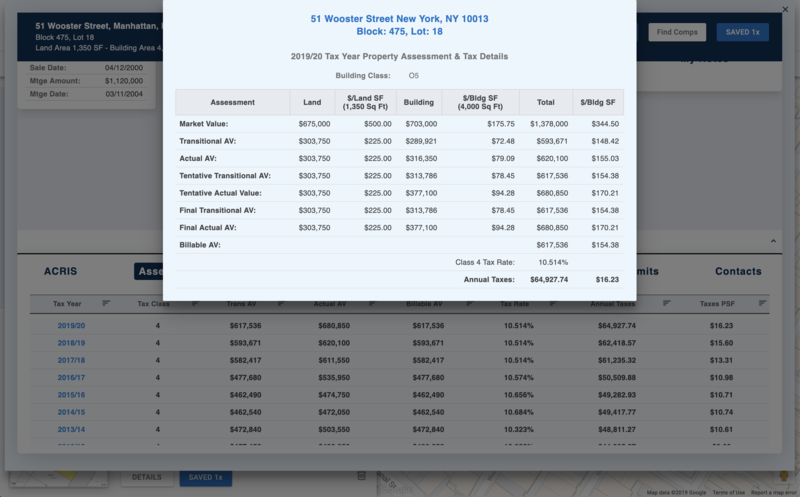 Access property assessment & tax details for every NYC property. Analyze comprehensive assessment & tax details for the past 20 years. 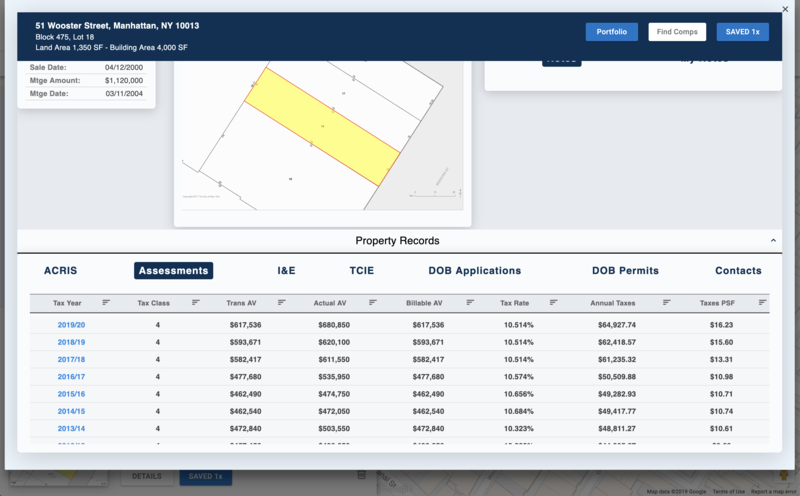 Implement PropertyBook's property assessement and tax data into your report or analysis.